They’re intended as a happy/lovely diversion, so I’m glad they work 🙂 For the last few weeks, I’ve posted them on a Monday morning for you, but not until the afternoon in the UK, so the Brits must think that I don’t own a clock! Perhaps I should explain it. 😉 With all of our international friends it’s hard to keep time straight, isn’t it? I roll out of bed Monday morning, shower, turn on the computer,and there is Sarah waiting for me. Yes, buying plants, putting them in the ground, and watching them all summer is a simple but exquisite pleasure. Now all we need here is for the rain to stop and the ground to warm up a bit. 🙂 Happy Monday dear friend. oh it is and so satisfying! Lovely pic Sarah! Thank you, Cybele 🙂 Yes, growing beautiful flowers is the best of therapy. Don’t have to pay for them! Bonus! I have lots of bee-loving plants in my garden. When the lavender is out, it becomes quite noisy with all the buzzing. Nobody with a bee phobia will come near the place! We also make a habit of rescuing bees, when required, and reviving them with sugar water. Good for You! We must do what we can to save them! So true – I love seeing them all in a row like that too, waiting to bloom and grow. 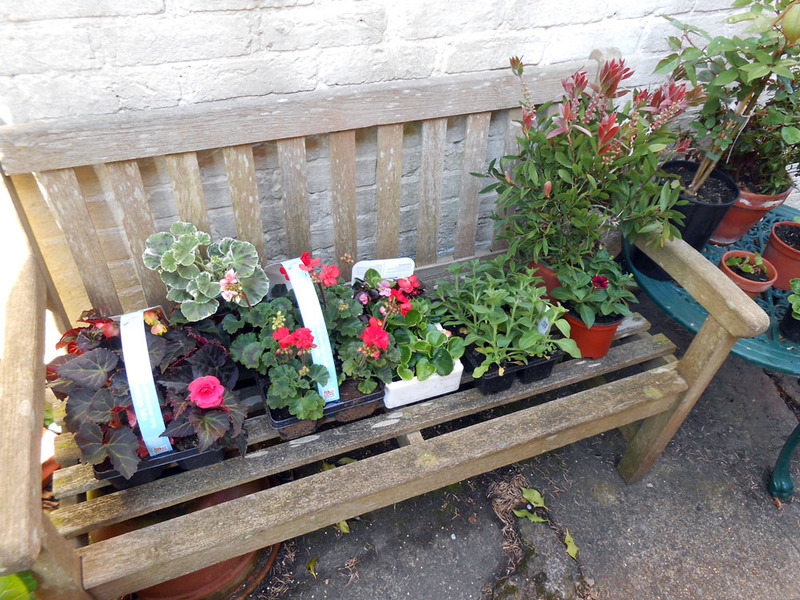 Today it’s very hot and sunny on the SE coast of the UK, so I’m off outside to re-pot all those little beauties. I’m sure their roots will be celebrating their liberation from cramped quarters!